Okay, I'm cheep. 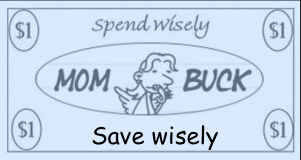 I love to save money. Not a bad thing, I think. I also want to become eco friendly in 2013. And since I live in a household of 5, the dryer seemed like the first candidate for eco-ness. Since it is freeze your @rse off cold here, and there is 2 to 3 feet of snow outside, I'm not using my clothesline which I LOVE. So what's an eco fledgling to do? Enter the dryer balls. Pintrest has many pics of these homemade and store bought woolen balls that you pop in the dryer. The theroy is that they bounce merrily amung your cloths, sucking up extra moisture and creating space that leaves your clothing fresh smelling, static free, and WRINKLE free. Best of all, they cut your drying time almost in half! Money in the bank. Yay! Enter the making of the dryer balls. I scrounged through my yarn stash and found some wool that promises to felt up nicely. Perfect! I start winding the balls. Not so perfect. Painful is more like it. Now I remember why I sprung for a cake winder. GRRR. Enter the pre-tweenie that is obsessed with getting an ipod touch, which I won't spring for. "Mama, if you pay me 1 MomBuck for each ball, I'll help you." Well, after some heated haggling, a bit of guilting which did not work, I agreed on Tressa's price. 4 balls for $4 bucks. These suckers better work. Whoa, what? I've somehow never heard of this concept. I throw tennis balls in with my down comforter, but the idea of wool balls in a regular load has never even been mentioned to me before. I plan to try this immediately! Thanks.